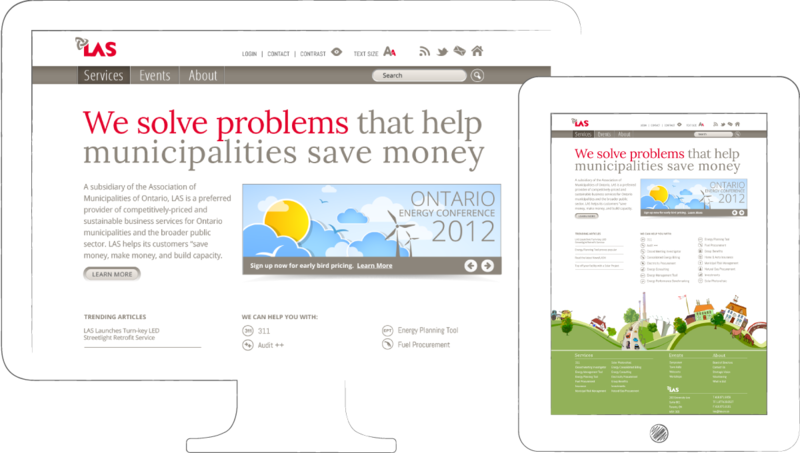 LAS provides business services for Ontario municipalities. The challenge? Showing these municipalities that LAS recognizes that they are all equal. 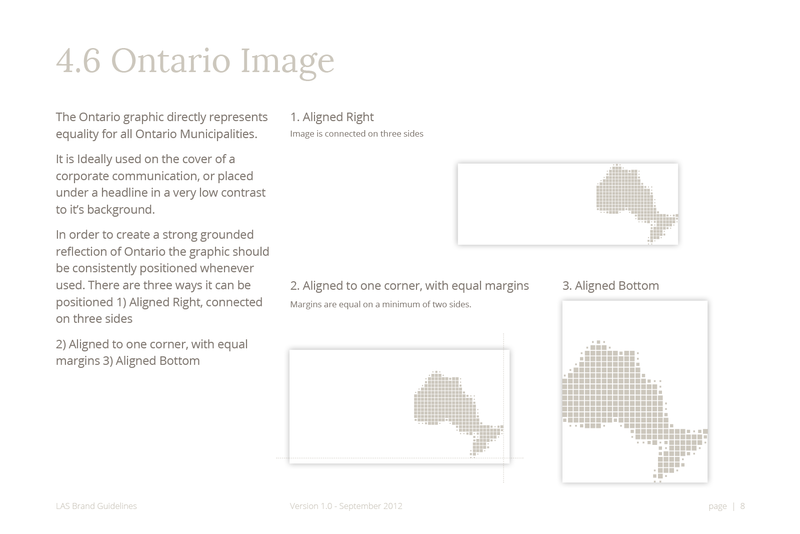 Using a flat graphic of Ontario, I divided it into a plain grid to show that all municipalities are equal. 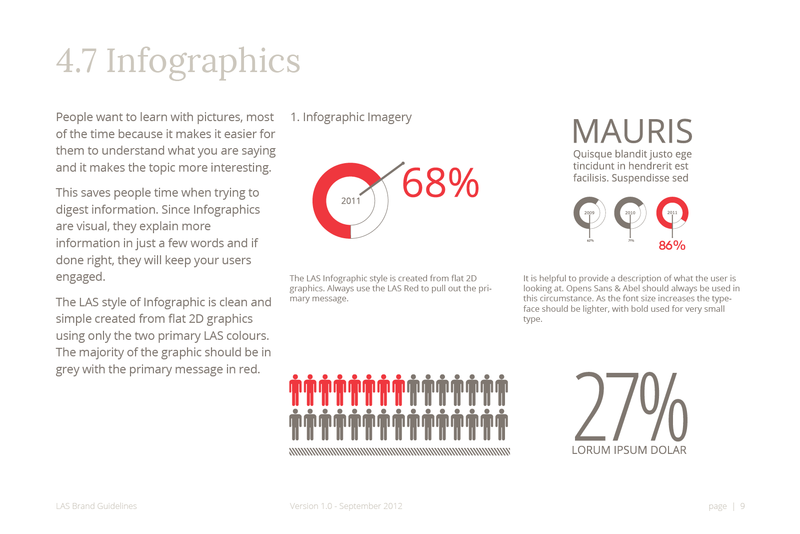 I chose to illustration instead of photography to keep the visuals looking neutral and adaptable, no matter the municipality. 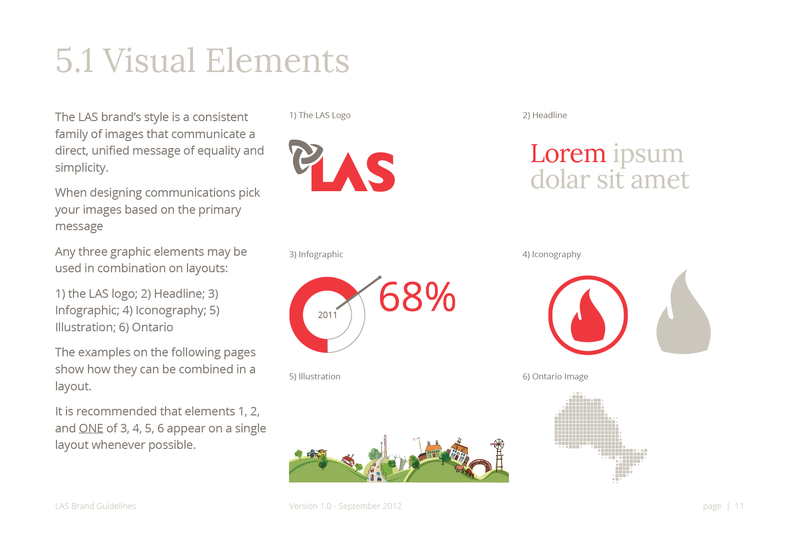 What are brand guidelines? 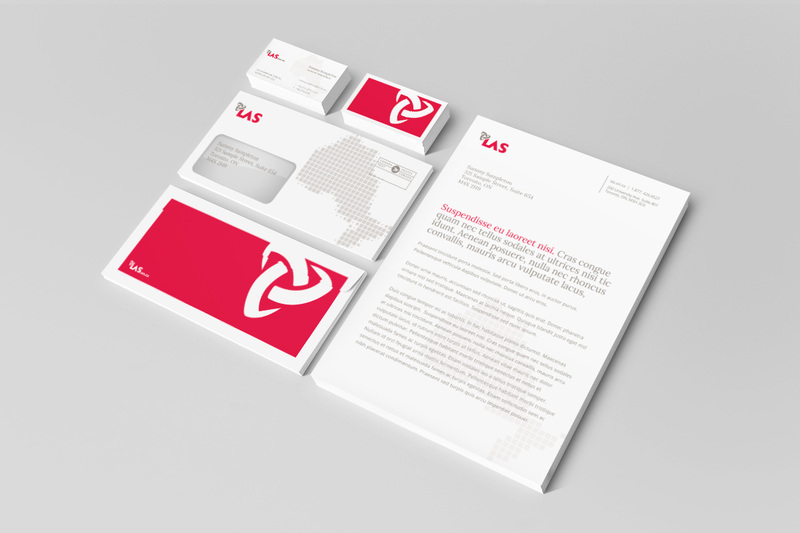 They’re essentially a manual to help you protect and apply your new identity consistently across all your media and collateral. 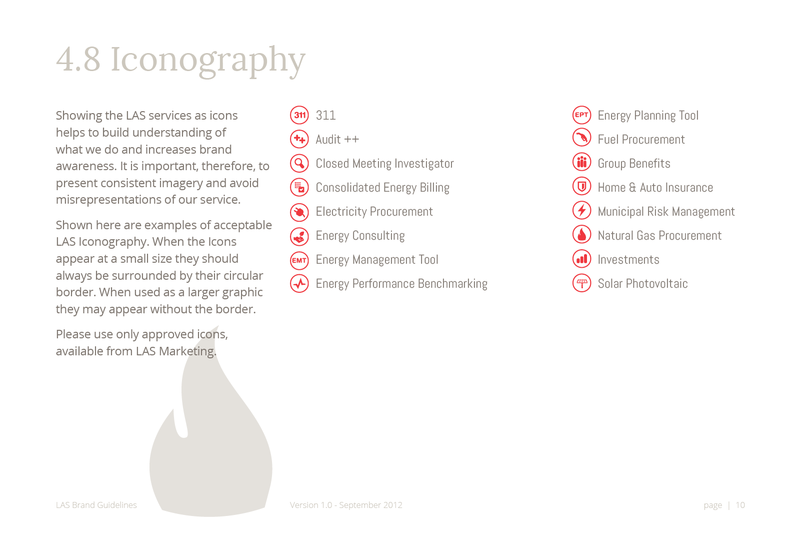 Here are a few pages from the LAS Brand Guidelines. 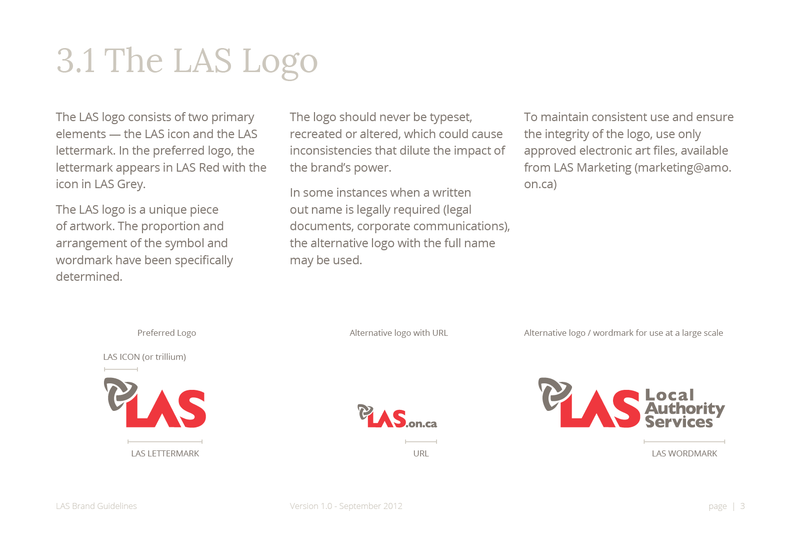 See the progression from the original LAS logo to the final refreshed look. 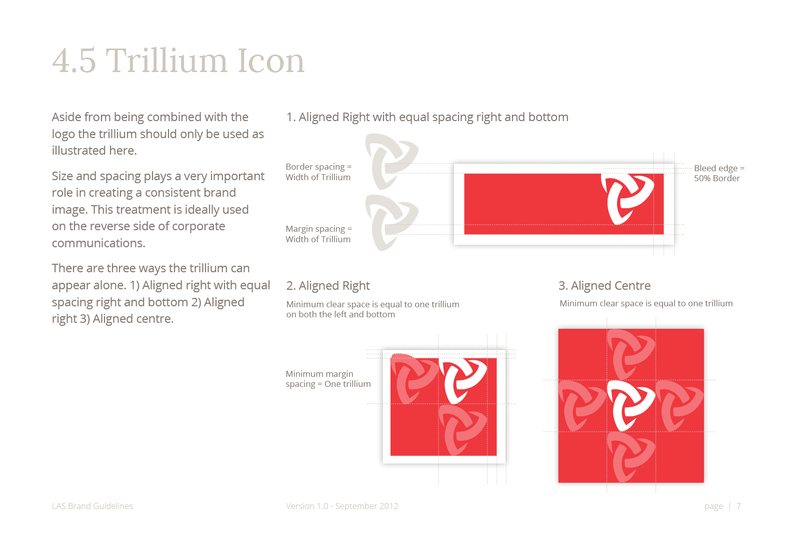 A simple colour flip between the trillium icon and the LAS name balances the logo out and puts the focus back on the name. 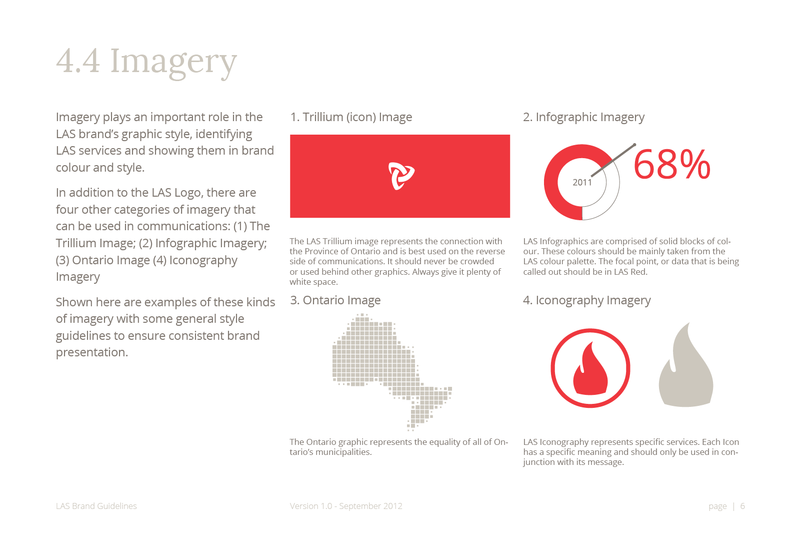 "The new logo and identity convey our brand values in a fresh, but more importantly, consistent way."